Many of us in the webOS community have chosen to dual boot Android and webOS on our TouchPads in order to add more functionality to our favorite tablet, while maintaining webOS awesomeness. In case you haven't made the attempt to install Android on your TouchPad but you are interested in doing so you may want to check out our definitive guide on how to install CyanogenMod9 on your TouchPad. As a matter of fact you may want to check out our many articles we've written over the last couple of months in regards to Android on the TouchPad. We were ready to bring these articles to a close, but we noticed many of you were requesting an article explaining how to move from one ROM to another or how to update your current ROM. Also now that a stable version of CyanogenMod10 is almost upon us, this may be a guide that will hopefully help you out. So at your request here is our guide on how to flash a new ROM or update your current ROM without the aide of your computer. Note: If you have yet to install Android on your TouchPad with the new ACME Installer 3, do not update to CyanogenMod 10 without first doing so. Using ACME Installer 3 will insure that the proper size for Android 4.1 will be alloted for its partition. First and foremost, it is always important to back up any and everything that is important to you.This includes photos, music, notes, etc. If you value it back it up. We recommend using one of the many cloud storage options found in the Google Play store (Dropbox, Box.net, Drive, etc.) to upload your stuff. Most of these apps are fairly simple to use and will allow you to upload multiple files at once. However if you are one of the many people that do not trust cloud storage you can always go "old school" and break out your TouchPad's USB cable and transfer your files to your computer for safe storage. Now that your all of your important files are stashed in a safe place we can get around to backing up your app data. Nobody likes to lose games progress, logins, or app settings - especially when you use a ton of apps. Also just in case you have side loaded any apps you wont want to loose those apps either. Thankfully there are several great apps that can be had in the Google Play store that will accomplish saving your apps, app data, and app settings. Two really good apps for this purpose are Titanium Backup by Titanium Track and ROM Toolbox by JRummy Apps Inc. Both of these apps are free with the option to buy a premium license to unlock extra features. We wont recommend one over the other as both apps are equally good but for the purpose of this how to we will walk you through backing up your apps and app data with ROM Toolbox. Upon opening ROM Toolbox you will see a boatload of things you can select as this app can accomplish a lot more than just backing up your apps. However, for right now just click the App Manager button to get started. From there click the settings button and select "Batch Mode". Then click "Backup all apps" and "Run the batch operation". This process will take some time so be prepared to kill some time. Once this process is done the app will have saved your backup in a spot on your device that shouldn't wiped when flashing a new ROM. Just in case you're still nervous about loosing your apps or app data both Titanium Backup and ROM Toolbox both offer the option to upload your backups to the cloud or you can plug your TouchPad up to a computer and save the backup file there as well. Now that all of your important stuff is nice and safe it's time to play. 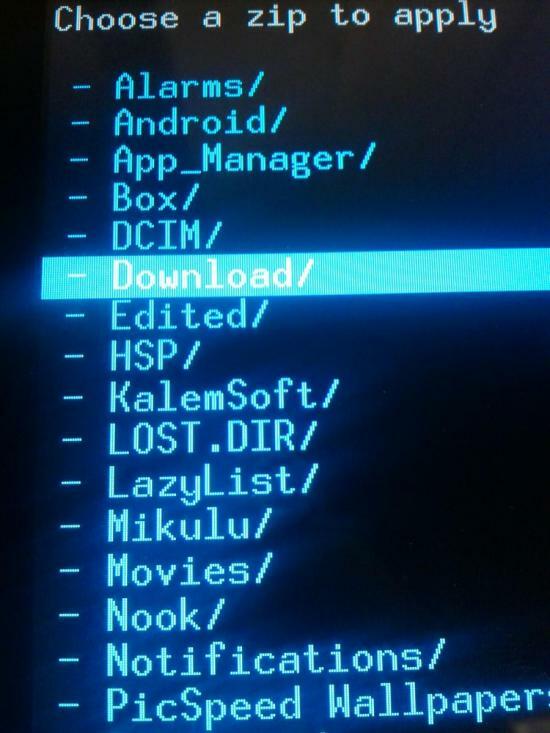 Find one of the many custom ROM's available for the TouchPad and download the zip file. On occasion certain ROMs may also need additional files to be flashed like the Google apps with CyanogenMod. So make sure to read forum thread you are getting the ROM from very closely to make sure that you have all the proper files downloaded. Once you have everything you need downloaded it's time to boot your TouchPad into Recovery (Note: by Recovery we mean for Android NOT webOS). 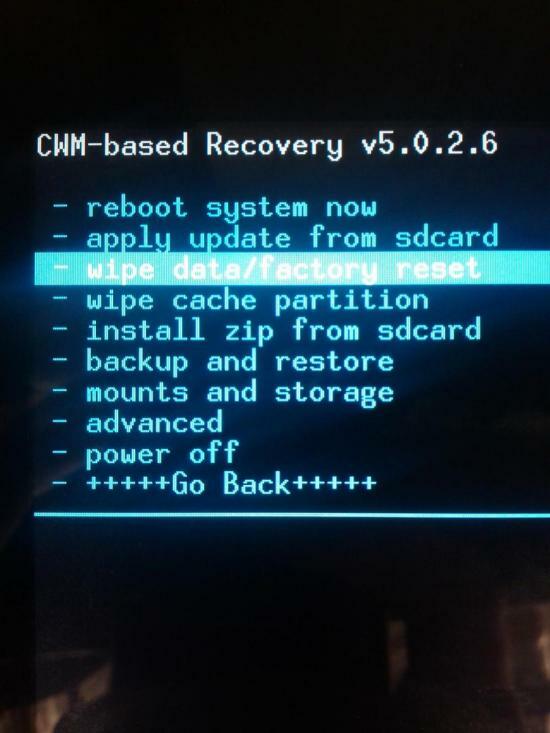 Booting into recovery can be accomplished from most Android ROMs by holding down the power button until the power menu comes up. From the Power Menu there should be an option to "Boot to Recovery" that you can select. If this option is not included or you are currently booted into webOS go ahead and power your TouchPad down and then power it back on. Once you get to the Moboot screen select "boot ClockworkMod". Note: There are other recoveries available to be installed but for the purpose of this walkthrough we will be using ClockworkMod Recovery. With ClockworkMod Recovery open you will see several options available to choose from. Navigating through these options is accomplished with the volume rocker on your TouchPad and selecting an option is done with the home button located at the bottom of the TouchPad. The first selection you will make from ClockworkMod will be "Backup and Restore" and then select "Backup". This is not a required step but is highly recommended in the advent something goes wrong with the new ROM you plan on loading. 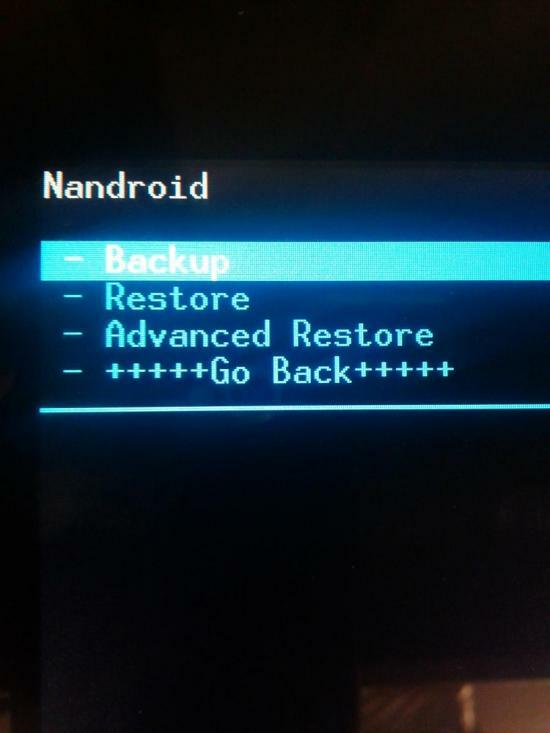 This backup will completely save the state of your current ROM so if something does go wrong or you don't like your new ROM you can always go back to the way things were by restoring from your backup. With your backup saved back out to the main menu and select "wipe data/factory reset". This is highly important when moving from one ROM to the next. With that said, this step is rarely needed when updating a ROM to a newer build unless the developer recommends it. So it is of the utmost importance to always pay attention to the instructions set forth by the developer. Next up it's time to wipe your cache and dalvik cache. Wiping the cache can be done from the main menu in ClockworkMod while wiping the dalvik cache is accomplished via the "advance" menu. 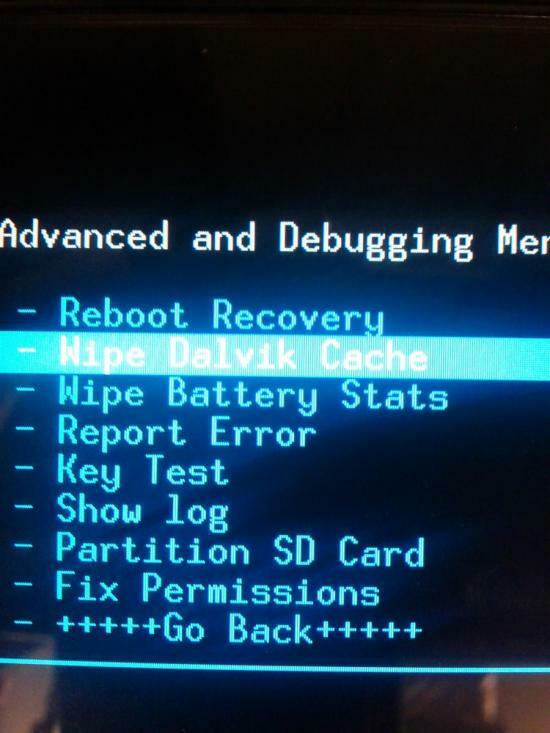 Whether you wipe your cache and dalvik cache before or after your ROM is a subject of much debate across the interwebs. We have tried both ways and never had any trouble. Either way this step should always be performed regardless of if you're flashing a new ROM or merely updating your current ROM. Failure to do so can cause all kinds of undesirable issues with your ROM. Last but certainly not least, it's time to flash your update or ROM. From the ClockworkMod main menu you will see the option "install zip from sdcard" which will be choosing. The first option in this sub-menu will be "choose zip from sdcard" which is where you will be going so go ahead and pick it. Now you will see a boatload of folders to choose from so navigate down to the folder you downloaded your ROM. This should be the folder labeled "download" assuming you did not change the download location Android defaults to. Inside this folder you should see the ROM file you downloaded along with any extra zip files you may need (like GApps). First select the ROM zip that you wish to flash followed by your extra files (if necessary). Once the ROM has been flashed back out to the ClockworkMod main menu and choose the "reboot" option. Now that everything is backed up, wiped, flashed, etc. (whew that seems like a lot of Android mumbo jumbo!) it's time to start setting everything up. If you're using a brand new ROM you are working from a blank slate so to speak. This means you will have to sign into your Google account, reload all of your apps, and restore your app data. Most of the time Google will restore all of your apps for you but sometimes that does not happen. Either way we like to stop any restoring of apps in favor of letting either ROM Toolbox or Titanium Backup do the work. So fire up the Google Play store and download the app you used to make your app/app data backup. Once installed open the app and do a batch restore of your apps and app data. This will take a little time so now would be a good time to go grab a drink and give yourself a huge pat on the back for a job well done.